A snowflake was allegedly spotted 30 miles southeast of our city, so we’re on DEFCON 1 around here. Schools and a lot of business are closed. Since we humans no longer have to worry much about saber-toothed tigers or the Bubonic plague, I think we’re secretly excited about the dangers of puffy snow. But what do I know? I stopped by the grocery store to get some yogurt for work this morning. I noticed the cheese section was wiped out. So was the toilet paper section. It would seem much of one would eliminate the need for much of the other, but again, what do I know? Time to conjure warm memories. Several years ago on a humid Saturday in late July: The air was so hot mosquitoes were spontaneously combusting in mid-flight. I did not want to go outside, but I had to. Those food scraps weren’t going to walk out to the compost pen by themselves. I’m a man, and that’s what men are for. No matter how hot it gets. No matter how much sweat may trickle down a man’s forehead into his eyes, he has to take the heat. The compost pen is out by our garage near the back alley. It’s scary out there near the alley, because of things a man may see that he can’t un-see. Things like bugs and maybe a vicious squirrel or two. A man never knows. I took the banana and apple peels out to the compost, the scalding ground burning the soles of my Nikes as I strode. When I arrived, I saw something against the back fence I did not expect to see and never want to see again. A man, no matter how tough he may be, never wants to see that. No, not that. It was a grungy blue vinyl suitcase. Not a particularly large suitcase. Not very small either. Like something you’d take on a trip if you’re only going to stay over one night, but want to pack an extra change of clothes in case you go to the Spaghetti Factory for dinner and accidentally spill sauce on your chinos and you don’t want to wear your return-home pants two days in a row. Something about that size. But then, if you’re carrying around a suitcase that dirty, perhaps a little Prego on your khakis is not such a big issue. I approached the mysterious blue suitcase with trepidation. I lifted it. It contained something a bit heavy. I don’t mean heavy in an emotional sense like a Nicholas Sparks novel about someone who falls in love the same day they learn they have a terminal illness, but heavy weight-wise. Its heft filled me with dread. I could imagine it contained a severed appendage, maybe a head, or stolen drugs. I could imagine nothing good. But a man, the kind of tough individual who takes table scraps to the compost pen on a 98-degree summer day, has to do what he has to do. I slowly unzipped the suitcase, my eyes all but closed as though that would make it easier to see what I was about to see. Oh, the humanity. I did not expect to see that. The suitcase was packed solid with tubes of Colgate toothpaste. Not sample sizes. Not in boxes. Not half-used. Not Crest or Sensodyne. More than one hundred shiny tubes of Colgate. I looked around and detected nothing but quiet. Even the squirrels had stopped chittering. I decided the smart option was to do nothing. I re-zipped the suitcase and left it where it was next to the back fence of our yard. I returned to the coolness of the house. I sat in the den as the 43rd rerun of a Lenny Briscoe Law & Order episode droned on the television. No more than fifteen minutes passed before I could no longer resist. Forget Lenny. I had my own mystery to solve. I had to go back out there, no matter the risk, no matter the danger, and open that suitcase one more time. Burning questions needed answers. What? Who? Why Colgate? Why not Oral-B? I would not get my answers. The suitcase was gone. Somewhere in the distance, a dog howled. I have my theories about the suitcase and its owner, but what is your theory? If you think someone walking through the alley could have grabbed it, that’s possible. But it would have been hard to see over or through the back fence because of all the bushes. I gotta trim those. 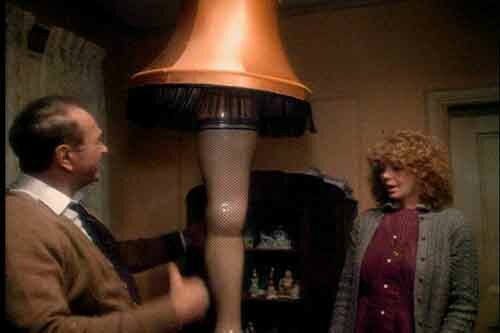 I know how the father in A Christmas Story felt when he won the Leg Lamp. I, too, have won awards. My glory days are behind me, but I used to be pretty lucky at drawings. When I was a kid, the hardware store in my hometown had prize drawings at Christmas. (The store also sold toys; I got my first new bike there.) One Christmas, I won a ping pong set, which would have been a much bigger deal if my family had a ping pong table or any space to put one. We tried to use the dining room table, which did not go over well. Still, the paddles had many other inventive, if not abusive, uses. Ask Julie, my sister. I was on a roll in those days. Around the same time I won the ping pong set, I also won a major award during a family trip. My family took summer vacations in which all six of us would spend a week together on an excursion to the Rockies or some other great American destination. We considered a trip successful if it did not result in threats of infanticide. We traveled in a pickup with a camper on top. Six people in a camper little bigger than a tomato can. Oh, the fun we had. I still have bruises from fights my brother and I engaged in while riding in the loft above the truck cab. My parents warned us before we left home that they would turn around and go home at the first sign of fighting. And if we thought they were kidding, just try them. Yes, we would see who was laughing then. And we better wipe that smirk off our face, Mister, if we didn’t want it wiped for us. Sometimes we made it fifty miles into a trip before my brother Jeff and I started whaling on each other. Julie encouraged it because she knew we otherwise would turn our attention to her. My younger brother Robert got to ride up front with Mom and Dad. We still hate him for it. The parents never made good on their threat to turn back, but Dad, who never drank, slowed the truck to a crawl in front of a few liquor stores. He also parked in front of a gun store once and wept quietly, but we don’t bring that up at family reunions. 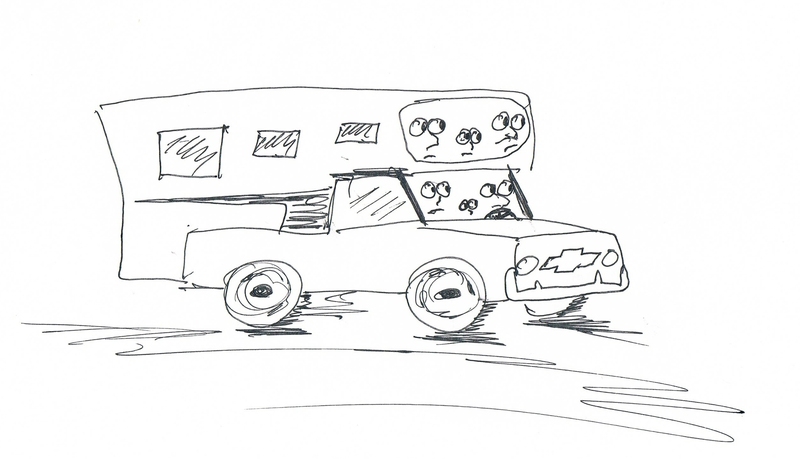 A artist’s rendering of a Dreamer with “happy” campers. We had a Dreamer camper that we bought in Des Moines. It replaced another Dreamer camper we had that was even smaller. In true seventies style, the interior of the new one was all turquoise Formica and blond plywood. The year we got the new camper, we took it to Bowling Green, Kentucky for a Dreamer convention, which is just as exciting as it sounds—a bunch of people with Dreamer campers either coveting or turning up their noses at other Dreamer campers. We stayed at the campground connected to Beech Bend, which was an amusement park of questionable repute. (I’m sure it’s much better now.) Besides talking about all things Dreamer, campers (the human kind) were entertained by so-so comedians and bad country music acts which made the one-hour trip north from Nashville. I was more of a Jackson 5 aficionado in those days, so the music was not to my tastes. The best part was at night when we went to the amusement park where I became a bit of a Skee Ball pro. That’s also where I saw my first drunk vomiter, and it was impressive. A couple of guys walked along the midway and one of them hurled without breaking stride, like it was something he did every night. Perhaps it was. Beech Bend, a classy place if ever there was one, also had a drag strip. Every day, the convention organizers made announcements and put on little shows there. They also held drawings for special prizes like game tickets at the amusement park, a meal at Sizzlers and such. I wanted those amusement park tickets to feed my growing Skee Ball addiction. One day, out of hundreds of Dreamerites, my name was called. As I made my way down the aisle, I sensed the envy of everyone in the crowd. What had I won? Perhaps a free hamburger at McDonalds, a new GI Joe or a nifty set of Hot Wheels cars? If I wasn’t so lucky to get something for myself, it could be something my parents could use, such as a set of barbecue tongs and mitts. 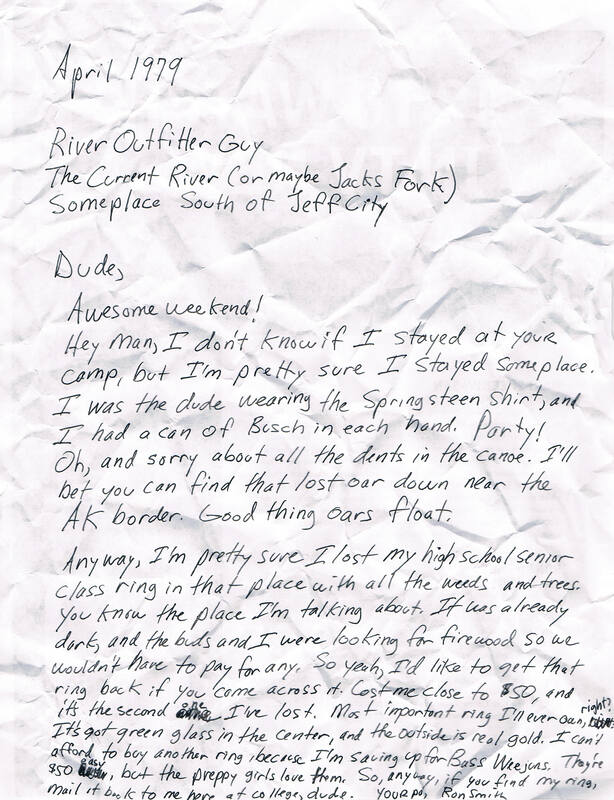 I descended amid the noisy applause of my fellow campers, and I could sense the heat of Jeff’s eyes drilling hate holes in my back. I always won things, he said, while he never did. He hadn’t gotten over my winning the ping pong set. When I made it down to the bottom of the grandstands, the announcer presented my prize: a huge stuffed animal—a white and turquoise poodle. Dow chemists had yet to perfect fake fur that was soft to the touch. This faux canine had all the cuddliness of forty grit sandpaper. And it was ugly. Ugly and girly. No twelve-year-old boy, not even a Jackson 5 fan, should be seen in public with a fru fru stuffed poodle with turquoise ears and rump fluff. What if a photographer from the Bowling Green newspaper had been there to document the handoff? Missouri boy accepts gift meant for a girl, the caption would say. I wanted to say “no thanks” and return to my seat. But this was, after all, something I had won. One did not turn down something that had been won fair and square, even a stuffed poodle. I accepted my prize and climbed the steps to my seat as the crowd again applauded. This time, however, their applause was meek, and perhaps a bit uncomfortable. My parents looked embarrassed. Jeff smirked. I was too ashamed to be seen holding the white and turquoise monstrosity any longer, so I handed the dog to seven-year-old Julie. Oh, the delight in her eyes. Her older brother had finally given her a large, beautiful stuffed animal (made of questionable material that may or may not have been toxic to human touch). He really did care, she thought. This was proof of a benevolent God. No. As soon as we returned to the camper, I took back the dog. “I just gave it to you to hold for awhile,” I said. Julie cried. Jeff smirked more. 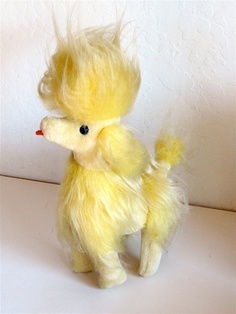 My parents had bigger issues to deal with than who should possess an ugly stuffed poodle. I didn’t care. I had won the thing, and I was going to keep it. 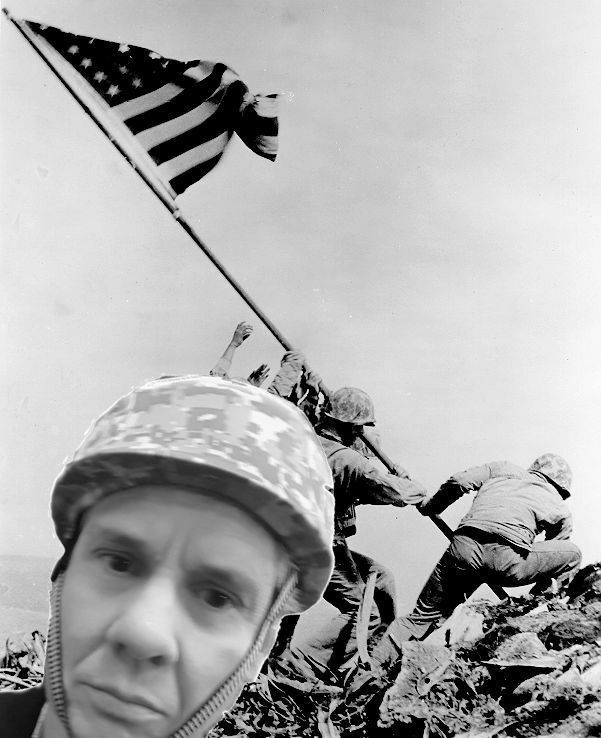 It was MUCH worse than this. And I did, for awhile, in the room I shared with my two brothers. Eventually, though, I came to my senses and gave it to Julie permanently. Perhaps my conscience overpowered my immaturity. Or maybe I realized how stupid the dog looked in my bedroom next to football items. If a stuffed poodle with turquoise ears and rump fluff sounds like something you’d like, I’m sure it’s still out there somewhere. Its material certainly was not biodegradable. I don’t think it would burn either. If it did, the fumes would kill you. P.S. Buy some books, will ya? I got a kid in college. In the city, we have many entertainment options, such as whether to watch Real Annoying and Vacuous Housewives of Hoboken or spend thirty minutes with Honey Boo Boo. On really good days, we may go to Target and Home Depot. We have Krispy Kreme and White Castle. We are cultured. Still, entertainment decisions in rural America are more complex than you may imagine, such as what type of food product to shoot from a small cannon. More on that in a bit. First, here’s a short list of my activities during a recent visit to the folks in northwest Missouri. – Got mistaken for younger brother Robert six times. – Made plans for local bank heist knowing Robert would be blamed. – Went for run on gravel road. – Got chased by wet, burr-laden dog during run. – Made peace with dog. 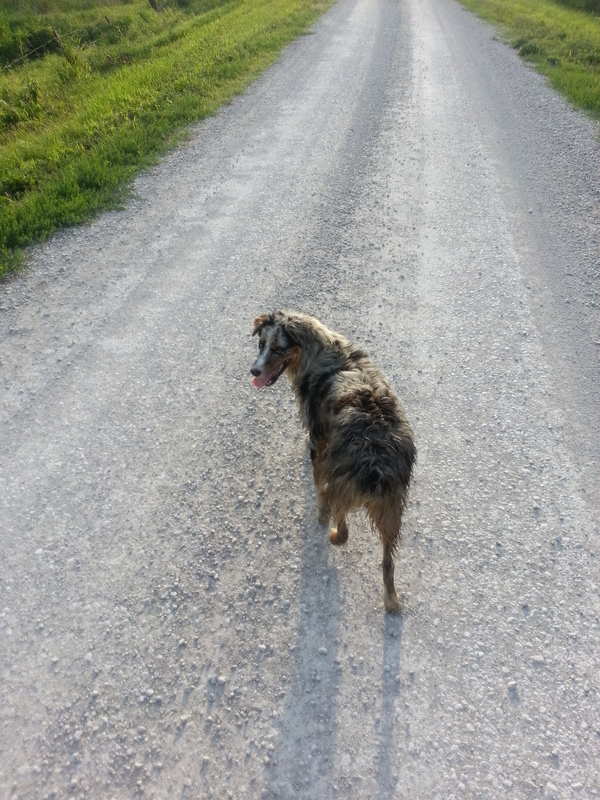 – Yelled “Stay!” fourteen times as dog followed me 2.5 miles back to parents’ house. 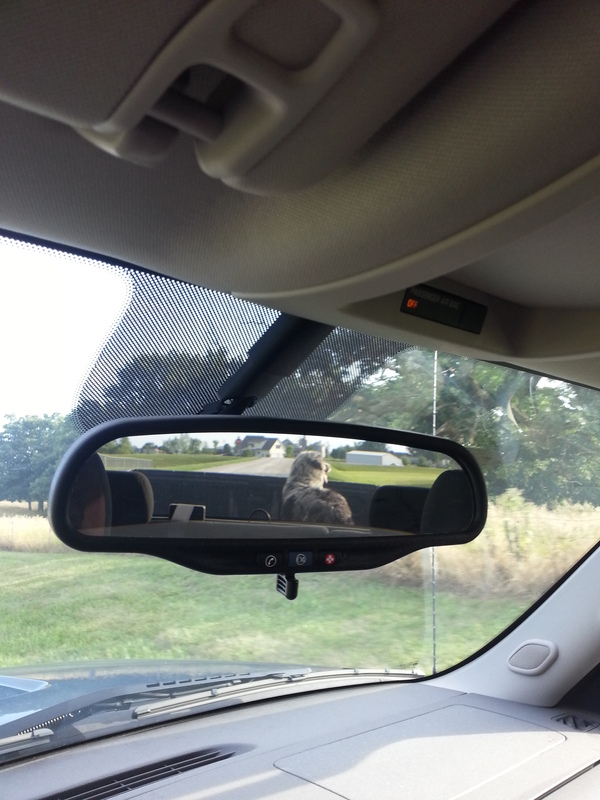 – Put dog in dad’s truck and returned it to its home. 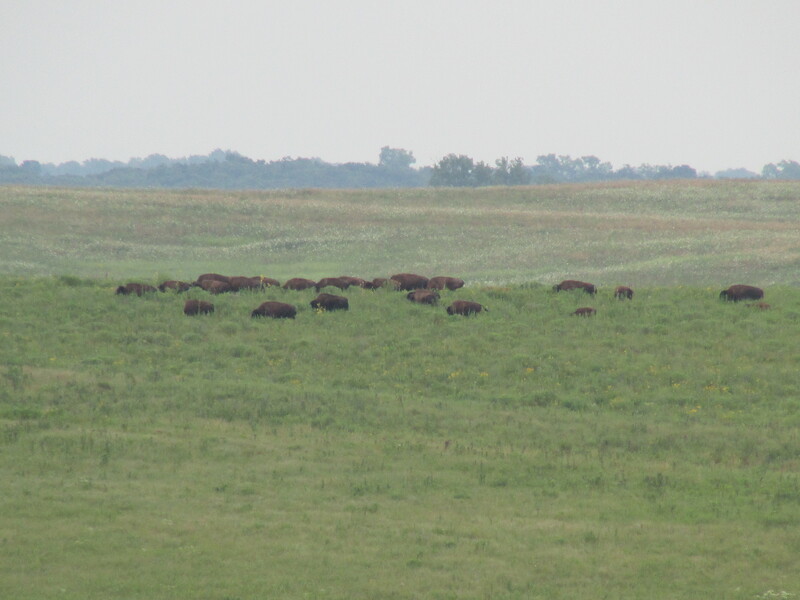 – Drove out to prairie to look for bison. – Spotted what were either bison or large brown cows. – Argued with 84-year-old father about why he didn’t tell me when he needed help around the place. – Put wheel on hay baler. – Directed dad as he backed hay baler into shed. – Helped dad get baler in cockeyed position so that it was stuck halfway in shed. – Hooked log chain to second tractor to pull baler free. – Promised dad I would not help him anymore. – Went for another run. – Took different route to avoid dog. – Surprised to find dog waiting in yard of different house. – Realized I had dropped off dog at wrong house the first time. 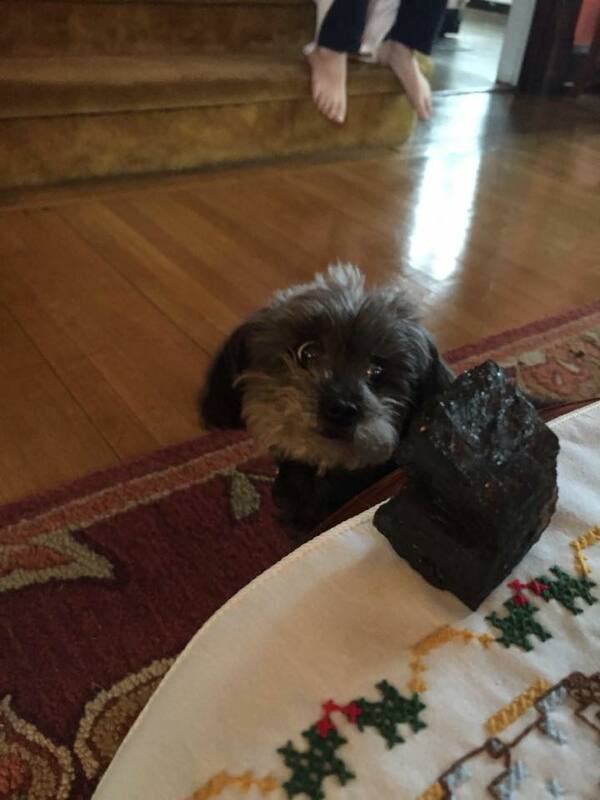 – Yelled at dog as it followed me back to parents’ house. – Put dog in dad’s truck again and returned to its correct home, maybe. – Told dog I would see her next time I was in the area. – Met uncle for breakfast at Square Deal cafe. – Paid $8.62 for both of us. – Bragged to everyone that I only paid $8.62 for two breakfasts. – Drove an hour west to have lunch with older brother Jeff, who was renovating space for a new GameStop. – Remained patient as Jeff ran around like chicken with head cut off. – Had lunch with Jeff at grocery store. – Texted everyone I knew that I was having lunch at a grocery store. – Made smart comment about how of course Jeff forgot wallet as he always does. 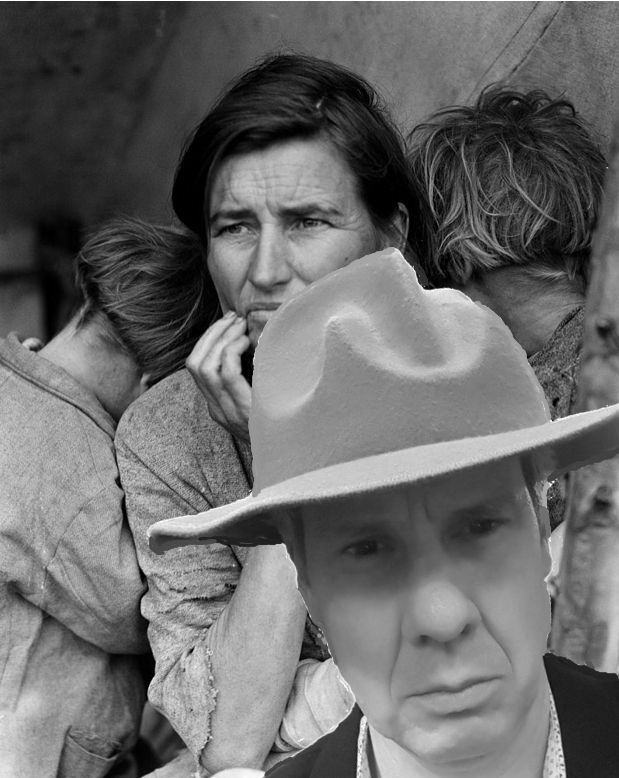 – Wondered how many wallets Jeff had lost in his life. 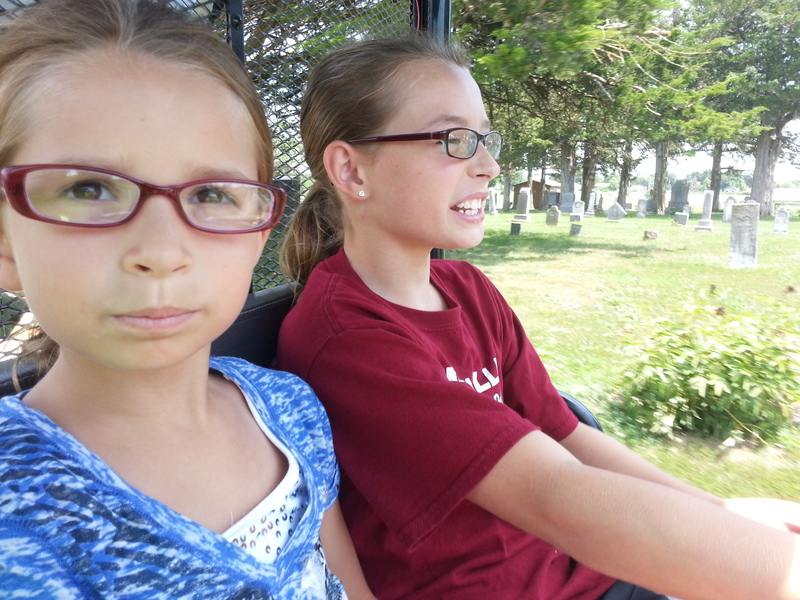 – Rode with nieces as they four-wheeled around their grandparents’ property. 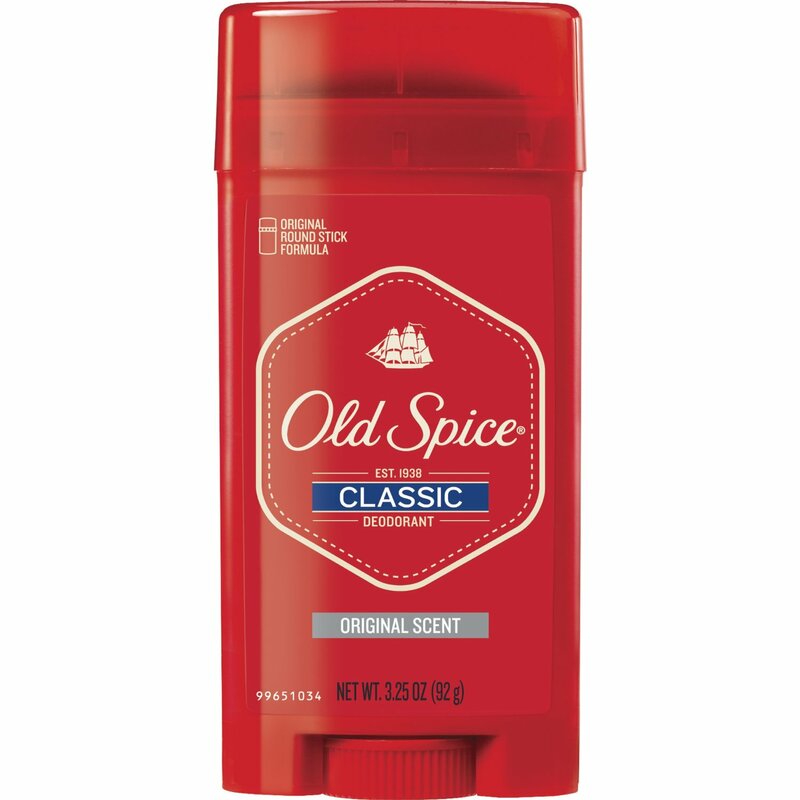 – Nearly soiled boxers during ride. – Suspected mother of cheating during croquet. About that tuber weapon: A childhood neighbor and friend of Robert (I’ll call him Bruce for this story) recently married. He and his wife received a potato gun from her father. Because what else would a loving father give his daughter and her new spouse? 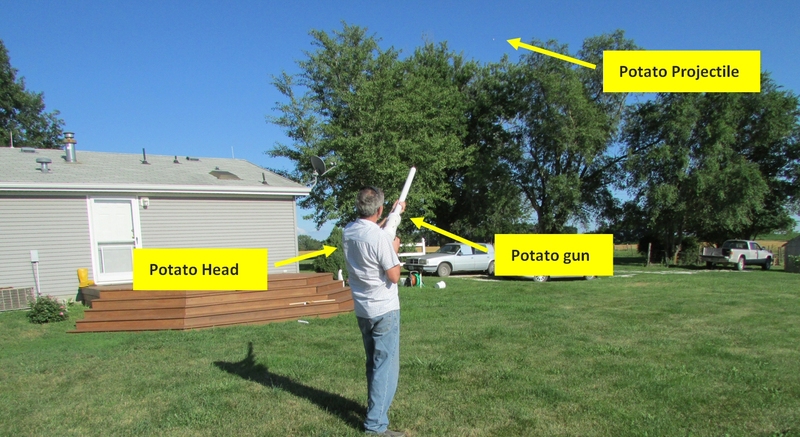 Potato guns require three items. 1) a potato (are you writing this down?) 2) a fuel source such as Aquanet and 2) a means of ignition to spark the Aquanet. 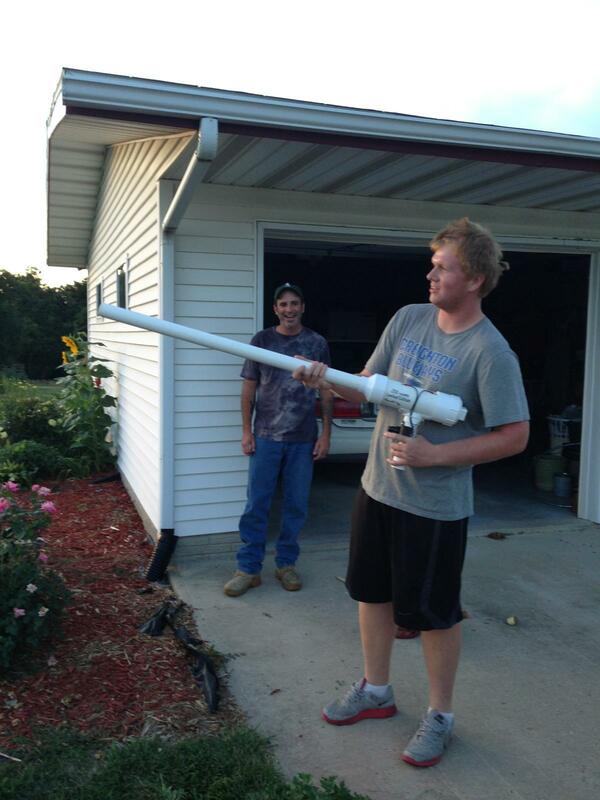 Bruce says the potato gun can shoot a hole through a ¼’ sheet of plywood from twenty or thirty yards. I will take his word for it. Bruce prefers russets. I have no idea how Reds or Yukon Golds would perform. I would imagine certain types of sweet potatoes could put a big hurt on a target. If you want to fire buckshot, try frozen tater tots. I do not recommend hash browns. When my brothers and sister gathered at my parents’ house with their families, Bruce texted to say he was dropping by. Did I want him to bring the tater gun? A little explanation about my parents: The last I checked, they were alive. But they already have a burial plot. And a tombstone with their names on it. Perhaps they don’t trust their children to properly memorialize them, so they have memorialized themselves. 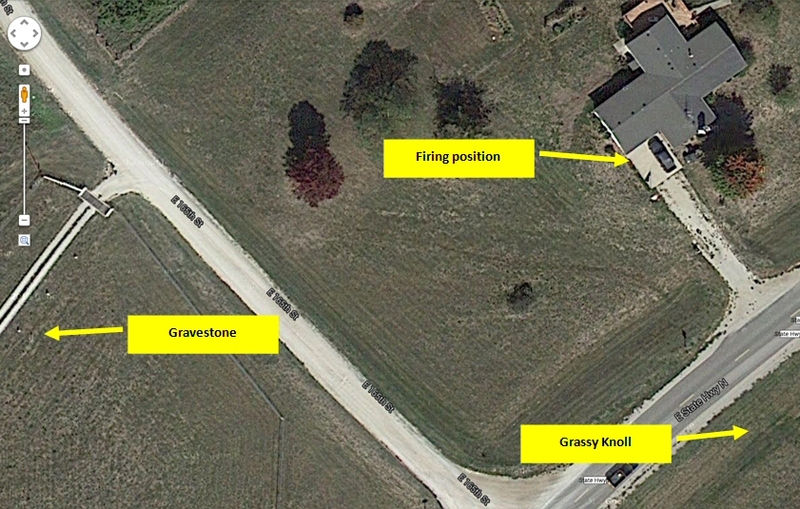 The cemetery is across the road from their house. The graveyard’s newest section was formerly a hay field on their property. Their gravestone sits in this new section, no more than 200 feet from their front door. My parents can step outside every morning to see their grave site. Beats watching a repeat of Sportscenter, I guess. Two hundred feet is also well within range of a well-manufactured potato gun. And a gravestone with “Harold Dee Smith” and “Joyce Elaine Smith” etched on it (death dates TBD) makes a pretty tempting target. I’m not saying I shot at the grave stone, because I’m the good son. However, some of the bad seeds in the family did. Julie, my sister, took the first shot, because she has no moral center. But she overshot the marker by a good fifty feet. Even the third generation took aim at Granddad and Grandma’s stone. No one hit the mark, but a few taters landed within a few yards. Let me stress again that I did not endorse or otherwise encourage this activity. And if anyone says otherwise, I’d like to see the footage of it. You may think there is something inherently disrespectful about shooting potatoes at the grave stone of one’s parents. You are mistaken. Dad watched and laughed. Also, it’s tradition to plant flowers around grave stones. Who is to say one method of planting is better than another? Why does a shovel have to be involved? Why only flowers? My mother is partial to peonies. 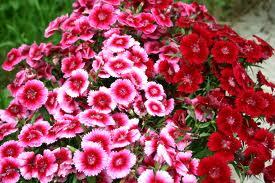 The grave sites of many of my ancestors are surrounded by these flowers. In coming years, it may not be peonies that grow around my parents’ grave site, but there will be plants. And as we enjoy a few baked potatoes, we’ll toast my mom and dad. P.S. 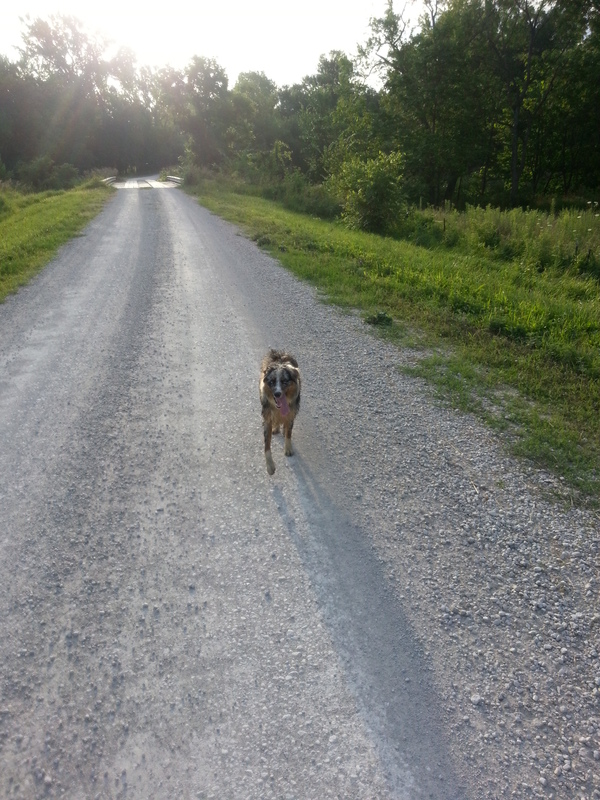 My happy running buddy. When Daughter #2 mowed the back yard several weeks ago, the rear left wheel fell off the push mower. It was irreparable. This allowed me to put my patented lawn equipment repair system into practice. Should you find yourself in similar circumstances, I invite you to try this efficient approach. Curse aloud at the news the mower is broken. Wonder if it is possible to continue mowing with only three wheels. 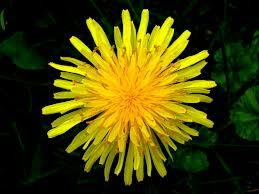 Decide it is not feasible and instruct D2 to finish “mowing” lawn with weed trimmer. Withhold judgment when lawn, following aforementioned weed trimming, looks like it has been strafed by a Grumman Hellcat. 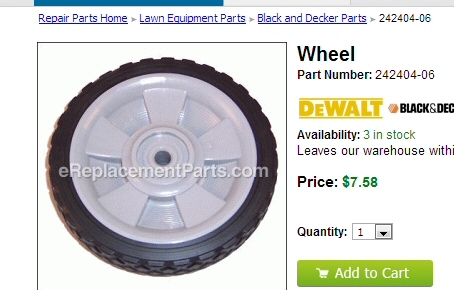 Note that it costs several dollars extra to have replacement wheel shipped within one business day. Opt for regular delivery, which is nine to fourteen days. Fail to notice that promise is to ship part in nine to fourteen days, rather than to deliver in said time frame. Sit back and watch grass grow to record heights as it rains every day. Host major family event at house. Call Search & Rescue when two relatives are lost for hours in backyard jungle. Rejoice when new wheel arrives sixteen days after order placed. Realize you did not think to confirm that push ring that keeps wheel on axle would be included with order. 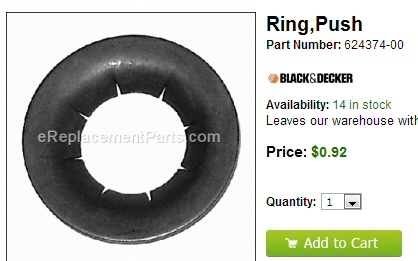 Determine 92-cent push ring is not included. 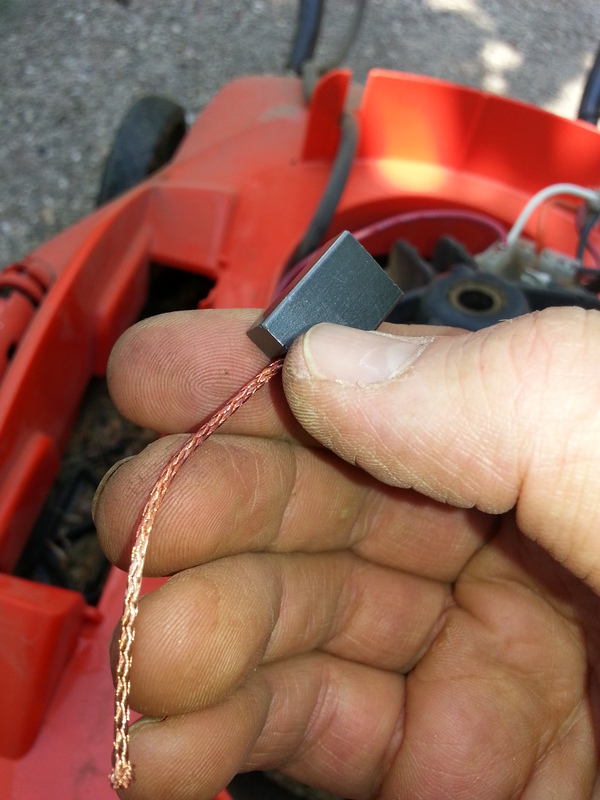 Look at lawnmower closely for first time. Buy two sizes of locking washers because they kind of look like push rings. Try each locking washer on wheel to confirm neither fits. Say other things you can’t repeat in polite company. Briefly consider amount of duct tape necessary to keep wheel on. Fail again to measure wheel axle for appropriate size. Drop by Home Depot again. Buy two more items that look somewhat like push rings. Try both items on wheel and determine they do not fit. Conclude it might be good idea to measure wheel axle this time. Make special trip to Lowe’s to avoid embarrassment of being recognized by Home Depot workers. Buy every size of lock cap in store. Determine that one of locks caps fits the wheel axle. Do little dance of joy. 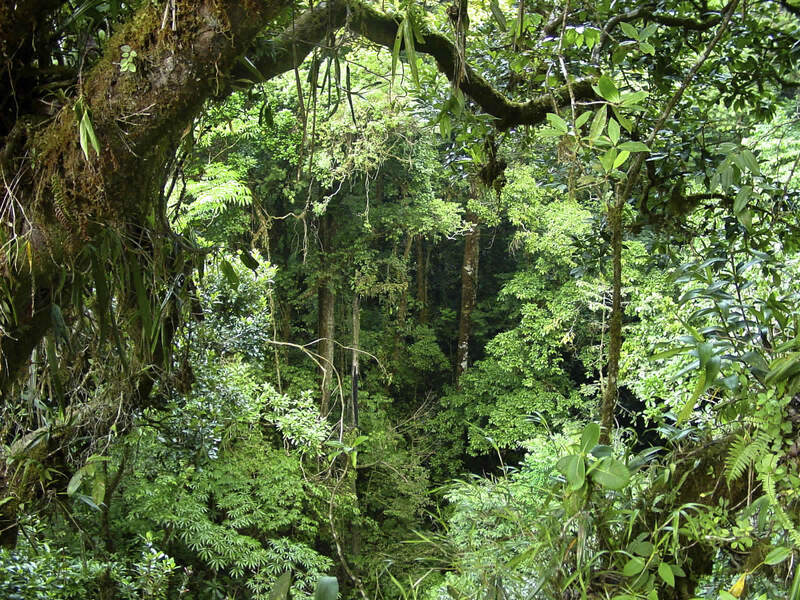 Take two more days to get in “right frame of mind” before tackling yard, which looks like Amazon rainforest. Determine wheel works fine, but other rear wheel is wobbly, and, worse, mower is now stalling. Install all just-in-case parts anyway. Try again and get same results. Peruse condo ads in real estate section. Make trip to neighborhood hardware store for one final part. P.S. If you think that’s good advice, try this book of wisdom. We have a soggy Independence Day in Louisville, which will make the Old Fashioned 4th brought to you by Cialas and Propecia a little damp. I don’t mind if I have to skip the fun. Independence Day in Eagleville, Missouri (fireworks capital of the world, yessiree) set a high standard. Ignore fatherly suggestion to arise as the day is already half over. Explain to father that it’s a holiday, for God’s sake. Listen to father admonish you for taking the Lord’s name in vain in the house, dammit. You have not arisen, so father arrives with a cold cup of water to pour on your face. Call father all sorts of names, though under your breath, because he is a large man who could squash you like a bug. Listen to him explain how the grass won’t mow itself. Express opinion that it would be pretty cool if it would. Listen to father say for hundredth time that work is something to take pride in. Stumble into kitchen where mother is already preparing the homemade ice cream mixture for that evening. Ask why not just buy ice cream at the store, because it tastes better anyway. Mother expresses opinion in so many words that you are spoiled and she can’t figure out where she went wrong. You have a stinging retort, but keep it yourself. Though mother is smaller than you, she could squash you like a bug. Mother asks you and your brothers if bedroom is clean. She does not find this amusing and slams a sauce pan on the stove. It is a sturdy Paul Revere saucepan, and it has been slammed many times before. You scowl, and she tells you to quit looking at her like she’s an ogre. Mother warns there will be an inspection of the room later that day. Wonder aloud what difference it makes as only relatives are coming tonight for the cookout, and none will venture upstairs. After a very long and leisurely breakfast consisting of two bowls of corn flakes with enough sugar to sweeten three Cokes, you and Jeff begin to mow the lawn. It is a large lawn that can take more than an hour to mow if done correctly. It will take you about twenty minutes. Father appears to make his usual pronouncement that if something is worth doing right, it’s worth doing right the first time. Hurry to finish mowing the lawn so you can mow the “ball field.” Your backyard abuts the school track, and you have adopted the track as your play area. 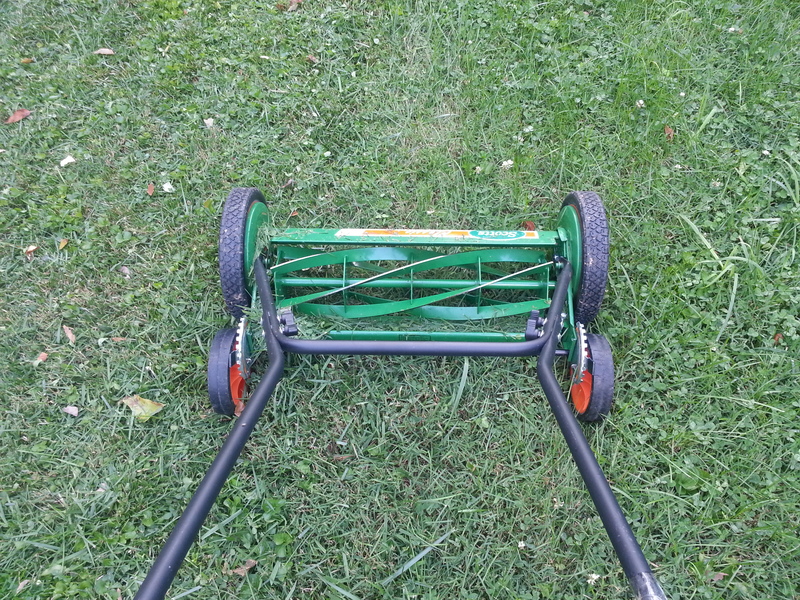 After mowing the yard, use the mowers, on their lowest settings, to cut base paths in the grass. This job takes half the day because you want the field to be as pretty as Wrigley Field. Father is in a good mood and gives twenty dollars to buy fireworks. This is the first time you’ve been allowed to buy the family fireworks without parental supervision. You have already bought a lot of Black Cat firecrackers and smoke bombs, but this is different. The entire success of the family cookout is at stake. 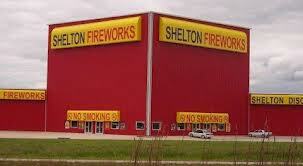 The Huttons, who run a gas station and tire store, set up a large fireworks tent at the interstate exit every year. Twenty dollars will buy a ton of fireworks, though twice that much would be better should some purchases be duds. There is a science to buying fireworks. First, you want to have enough money to buy the grand finale, the big doozy that will blow away all the others. You have already learned from experience that this is not necessarily the largest firework for sale. Still, the largest ones are quite tempting. Selecting fireworks is always a gamble. Some of the smaller, cone-shaped fireworks can be monumental for their size. Sometimes, though, they’re a disappointment. Choose carefully and buy fireworks in the order they will be set off. Sparklers are first. Return home with a paper sack filled with explosives. Father expects you to help churn the ice cream. The family has an electric ice cream maker, but he insists the hand-cranked ice cream tastes better. He is, of course, crazy. Your sweat generated while churning the ice creams helps salt the ice. Father is never satisfied with the ice cream. It always needs a few more turns, a little more ice, a dab more salt. Mom has made chocolate and peach ice cream mixes. Do not try the peach ice cream, because you are philosophically opposed to ruining ice cream with fruit. Later, the adults at the cookout will go on and on about how wonderful the peach ice cream is. Worry that next year your mother will make only fruit-flavored ice cream. Guests arrive. Grandparents, aunts, uncles, cousins. You don’t have enough players to form decent teams, but years of improvising have made it possible to play. Fifty feet down the left field line is a cow pasture. Anything hit over that fence is an out. Anything hit over the outfielder’s head is an out. Anything hit hard is an out. You have to use ghost runners because there will only be three people on each side. You will expend more energy playing baseball than you did mowing the lawn and churning the ice cream. You will not notice the irony. Now that everyone who played baseball is dripping with sweat, it’s time to eat. The deviled eggs don’t last long. Skip the slaw and the potato salad, opting instead for a plate full of potato chips with a dab of baked beans and a hot dog. Make that three hot dogs. The small kids are handed the sparklers, which signals to the adults that the serious stuff is about to begin. Everyone watches the little kids twirl their sparklers, hoping they’ll tire of it quickly. The sparklers create excitement for about three seconds before even the little kids grow bored with them. Every child is admonished for the fourteenth time by every adult not to drop the sparkler wires on the grass. There was that one kid in that one town who carelessly dropped his sparkler wire. A couple of days later, when his dad was mowing the lawn, the blade shot the sparkler wire right into the kid’s gut. He died on the spot. We don’t want that to happen to us, do we? Father is not ready to let you set off the fireworks yet. That is his job. He takes it seriously. He also takes it literally. After the sparklers and before the roman candles, he instructs you to find an empty sixteen ounce pop bottle for the bottle rockets. Also, bring out a two by two section of plywood as the launching platform. Father sets off a few bottle rockets. You wish you could help. You would tie together the fuses of several rockets and set them off at once. With luck, some would come toward the crowd. That would add some excitement. The roman candles are predictably unpredictable. Some have the full complement of eight bursts, some fewer. One splutters and falls on its side, sending a feeble fireball toward the crowd sitting in lawn chairs. As the show moves up the line to bigger and better fireworks, the crowd oohs and aahs at appropriate spots, just like they do with the same fireworks every year. Everyone jokes again about the propeller firework that Uncle Royce lighted one year that went straight for mother’s leg. It never gets any less funny, though mother doesn’t laugh as much about it as she used to. The rocket you spent thirty percent of your fireworks money on is lighted. Will it be a dud or a beauty? It’s somewhere in between, not much to look at, but noisy enough to scare any dogs or cats that are already cowering in some dark corner wondering why the apocalypse comes every year at the same time. Everyone heads home. Tomorrow, you’ll have to pick up the trash from the spent fireworks. But tonight, you’ll go to bed sleeping in the dried sweat of your day.